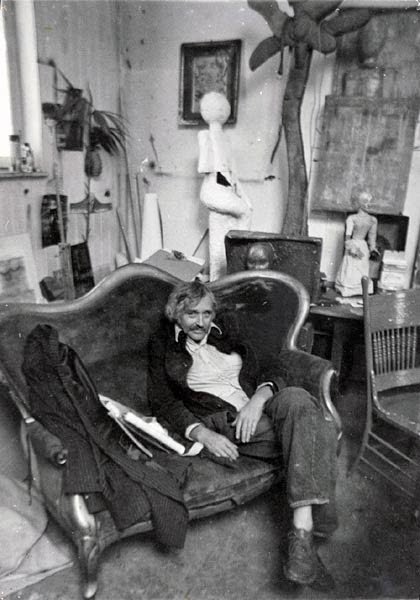 Friedrich Kuhn I (1973?) photogravure. 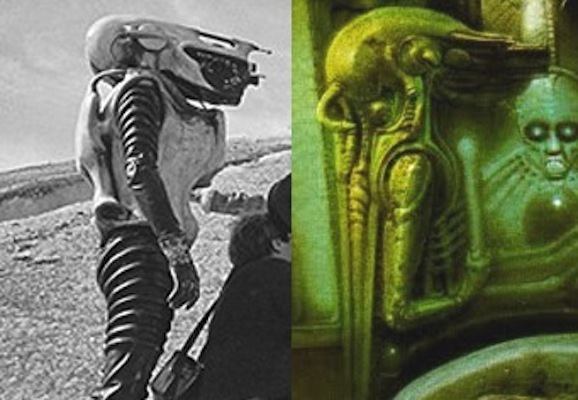 In the painting Friedrich Kuhn II, (1973) Giger had turned the humanoid figure seated in the background into the biomechanoid robot outfit that he created for the movie Swiss Made, and here he further develops the image of the suit armour in the short film to become more like one of his stylised biomechanoid images and holding a phallic rod in it's visible hand. 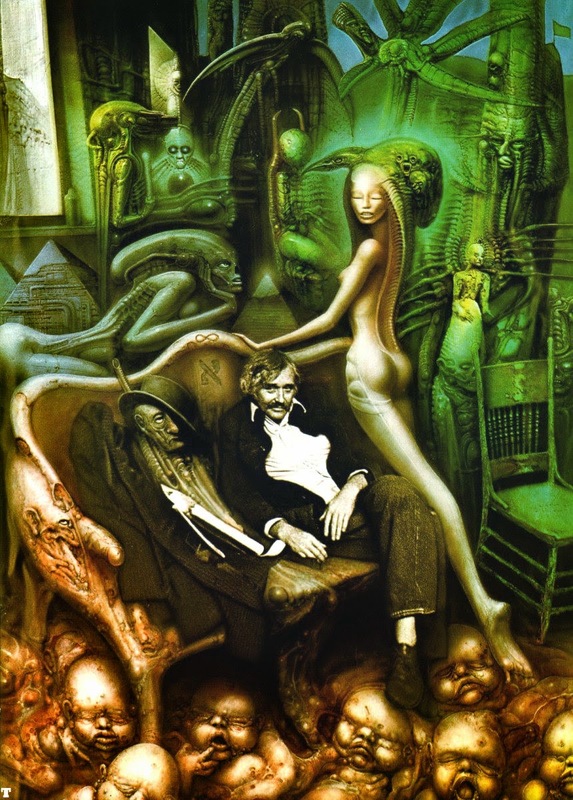 Behind the settee on the left, Giger has painted a sphinx like female biomechanoid with an elongated skull translucent skull with a pipe running along the side of it and this image would later as an idea would appear to be developed into the female biomechanoid rider in the painting Necronom V which is one of the series of paintings that inspired the final form of the Alien "big chap". 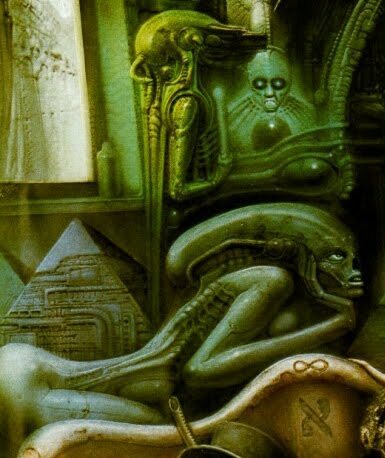 In Friedrich Kuhn II, the female has eyes and a skeletal face with a gap where the nose would be, but the eyes and face are covered over by the dome in Necronom V to make her seem blind. The mask to the right behind the settee becomes now the face of a beautiful biomechanoid woman complete with body. 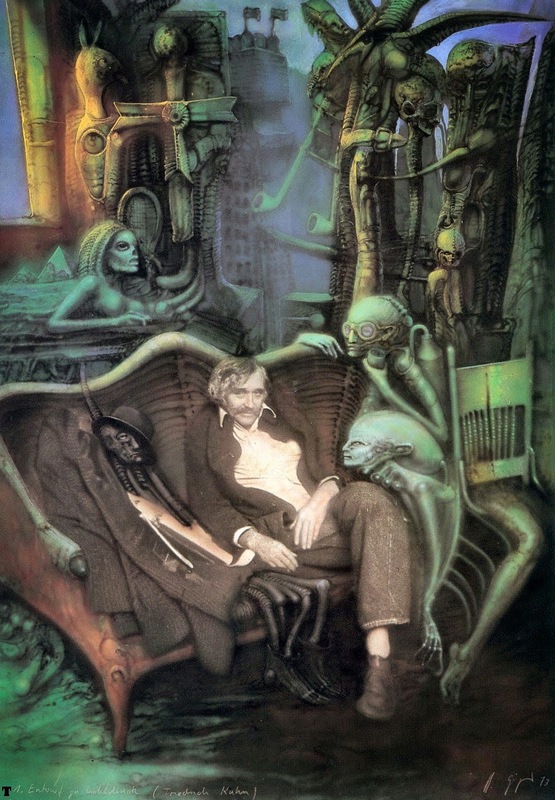 Friedrich Kuhn II (1973) photogravure.